MayoCivic.CenterRochester.com is a privately owned and operated company that operates solely in the online secondary resale marketplace. We have no affiliations with primary vendors, official websites, and or any box office. Prices on our sites may be well above face value and can change quickly with market conditions. 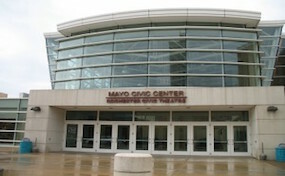 To order tickets online for all Mayo Civic Center Rochester events please follow the steps through the checkout.